Do You let people walk all over You? 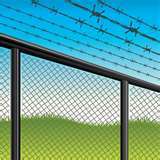 Or do You have walls with barbed wire keeping people out? A lack boundaries doesn’t serve and too strong of barricades doesn’t serve either. Reiki helps create healthy and love filled boundaries. With Reiki You can create an energetic space of “only love in and only love out” around You. Here are some ways You can create healthy boundaries with Reiki. For Your physical space – If You are attuned to the second degree, use the power symbol around You. Imagine the power symbol at the outside of Your aura. For first degree practitioners imagine a Reiki charged rose at the edge of your aura. The Reiki will keep You from absorbing other’s energy. You can also just Reiki Yourself allowing the Reiki to literally fill up Your aura. For Your home – 2nd degree practitioners can put the power symbol at their doors or at the edge of their property. If You live with others, You can put the power symbol over Your office or bedroom door. If You are first degree, then imagine a Reiki filled rose. Or just let the Reiki fill Your house. For Your relationships – Reiki Yourself with the intention to have healthy boundaries and remain in your personal power. Notice how You lovingly find words that honor Yourself. That word just might be a simple “no”. Or it might be a “yes”, after I take care of myself. Notice how the people who stay in Your space when You have a Reiki love filled boundary around You. How are their moods? Do You enjoy interacting with them with the Reiki filling Your space? Do You find yourself communicating in a way that respects yourself while honoring the other? Healthy boundaries mean You love Yourself enough to take care of Yourself. Reiki will definitely fill You with self-love. Notice how healthy boundaries help create respect from others. For some people the Reiki will help them create stonger boundaries. Others, the Reiki will help drop their walls and be more open and willing to let others in. Create Your healthy and loving Reiki boundaries today. Why wait? P.S. The Heal Yourself Program that I co-created has techniques to help you create sacred space around you. Click here to find out more.